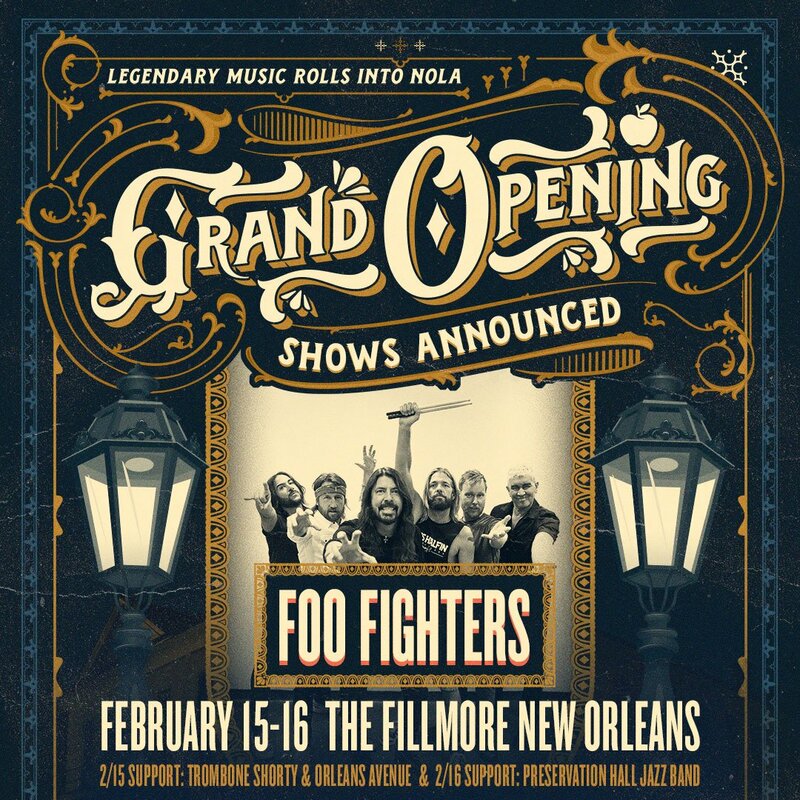 Iconic rock band Foo Fighters is set to open the new Fillmore music venue at Harrah’s casino in New Orleans. The opening is set to take place on Friday, February 15th, and the following Saturday, February 16th, 2019. 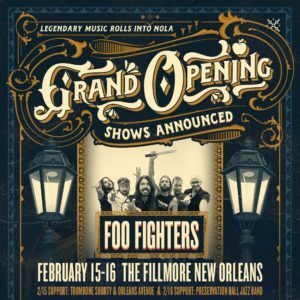 “Announcing Foos are opening The Fillmore New Orleans w/ two shows in February of 2019! Public on sale begins Fri., Oct. 12 at 10 am CT,” the Seattle band Tweeted on Monday. Trombone Shorty & Orleans Avenue from New Orleans will be kicking it off on the 15th, while Crescent City’s Preservation Hall Jazz Band will appear on the 16th. More acts is set to be announced on Monday, October 15th. Located on the second floor of Harrah’s Casino, and with a capacity of 2200, The Fillmore New Orleans is more moderately sized and intimate than the arenas which the band is accustomed to.